I admit to being apprehensive about including G.O’s involvement in the December 2012 SBS Gayo Daejeon Color of K-Pop extravaganza here on the countdown for one reason and one reason only: He had to share the spotlight. Now, I am not adverse to him sharing the spotlight, usually. I don’t mind when he is on stage with his MBLAQ brothers or on the musical stage with other musical actors. But because I am not so keen about him losing vocal time as rule (even as a member of MBLAQ), I am less enamored of him losing it to other idols! Extreme bias rising over here! Nevertheless, I enjoyed his collaboration as part of Dramatic Blue and happily place it in the Heavenly Collaborations file here on the Countdown. 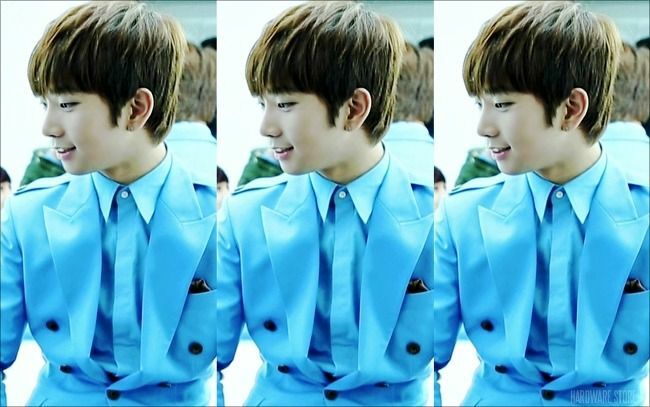 Besides, he looked extraordinarily handsome in that blue Guy Laroche suit. Categories: MBLAQ Musings, The Fangirl Adventure Log, The G.O Files | Tags: 2AM, 2AM Jokwon, Color of K-Pop, G.O Heavenly Collaboration, G.O images, G.O Live On Stage, Infinite Woohyun, 지오, Jung Byung Hee images, MBLAQ G.O images, MBLAQ G.O Live on Stage, SBS Gayo Daejun 2012, Teen Top Neil, Yang Yeo Seob | Permalink.